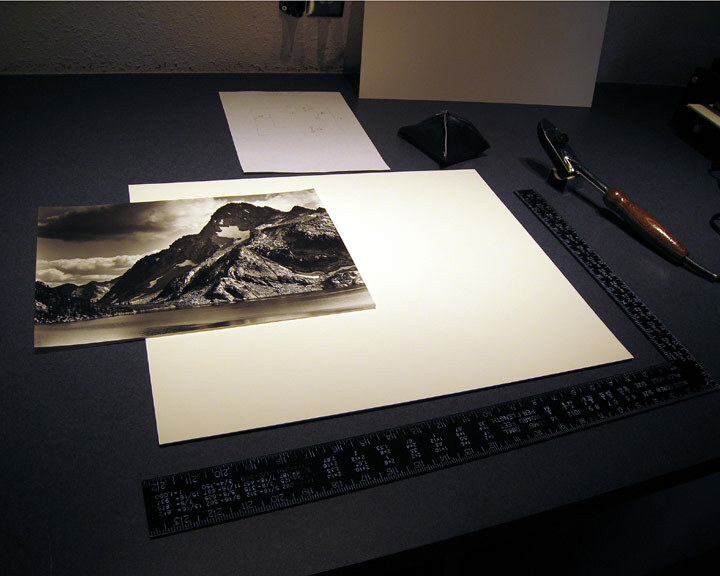 Techniques is a series of articles designed to elucidate and educate methods of monochrome silver photography, gelatin silver printing, and presentation as I employ them. Clicking on any topic in the right-hand column or on the abovemost toolbar will take you to the appropriate topic. 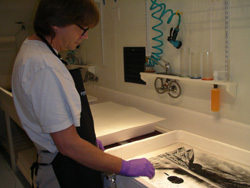 These articles are geared primarily to the enthusiastic beginner/intermediate darkroom worker. It is unlikely that the information herein will be other than of casual interest to the seasoned darkroom artist, except as a chronicle of my particular methods. The techniques pages are organized into a main body and a Table of Contents, containing a visual thumbnail navigational reference outline in the sidebar (clicking on the the thumbnail pic or its title will take you directly to that topic). I will be posting more technique articles as the spirit moves me. As some of the original articles may have referring links to other supporting articles, please forgive the empty pages (i.e., Coming Soon...) while they are being readied for publication. Please read my Printing Philosophy before continuing. So that others may gain the benefit of any additional insight or clarification, questions and/or comments may be left in the comment section at the bottom of any appropriate article. All comments are moderated prior to publication. Further Adventures - news of my latest exploits.